from a separate endowment of $1,000,000 as non-returnable seed capital to implement their business ideas, after undergoing business training and mentoring. The beneficiaries of this program will be announced alongside the successful 1000 entrepreneurs in the 4th cycle of the TEF Entrepreneurship Program. This initiative is complementary to the existing $100 million TEF Entrepreneurship Program, a tried and tested approach to creating sustainable impact that has seeded, mentored and trained 3,000 African entrepreneurs, generated revenue and created jobs across all 54 African countries. 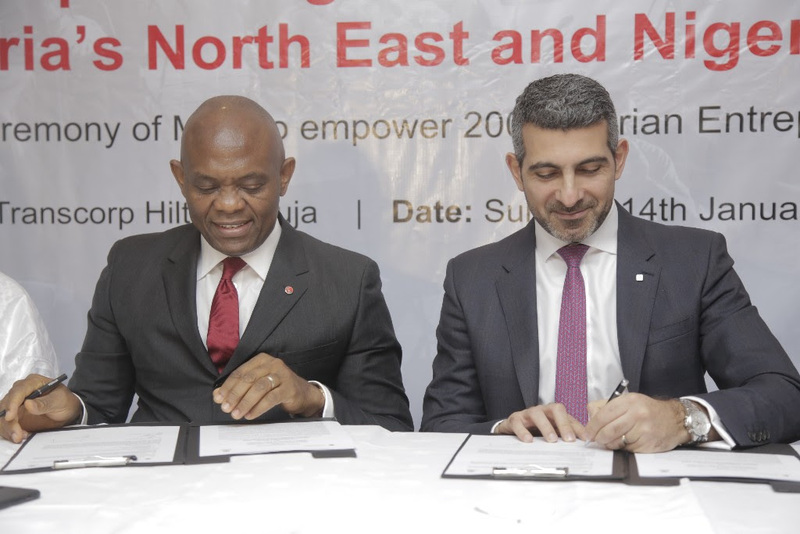 The Tony Elumelu Foundation and the Red Cross signed an MOU to empower 200 entrepreneurs from Nigeria’s North East and Niger Delta regions. The partnership aims to holistically address the economic plight of communities affected by armed conflict or violence, through innovative interventions.The ICRC and TEF partnership is based on the common principle of accountability and proximity to people, a desire to restore livelihoods affected by conflict or violence and the desire to see a positive change in Africa.